“Paul if I don’t change something, I’m not going to survive winter. Struck by the suddenness of his words that pierced my ear that the phone was pressed against, I responded the only way I could. With empathy and full attention. I knew this friend had been struggling for a long time, we had been friends for years. Our struggles united us, and we had many talks through our friendship of existentialist questions filled with identity and purpose. But it had never been had real as this. It had never been as scary as this. And surprisingly enough this wasn’t the first person that night who had told me that. I spent the next two hours with him on the phone, talking through how he was feeling. Constantly letting him know that his pain was something actual and not all in his head. The last thing he needed to hear was that this is something he was exaggerating or making up. To him and so many other people this was very real, and I wanted to help him find that first step in the right direction again. We arranged to meet a few days later since I was in school and he was a state away. He came to visit and he talked about how his depression and anxieties got worse during the winter. A common theme for people with Seasonal Affective Disorder (SAD). New England winters can be very dark and very cold. A sense of isolation can be felt in those surrounded by groups of people with the accompanying snow blocking the light through the trees. So we thought maybe a change in scenery could be that first step. After tossing up a few possibilities of just moving to Massachusetts in different locations, he decided to take a road trip with some friends through the south and to the west coast. Hoping that the weather there would be a little friendlier to him. Before he left we hung out one last time, jamming together on guitar and watching half of Guardians of The Galaxy (which I still have to finish) before having a few last laughs and life talks. As the end of the night was approaching I told him I wanted him to know I was always there for him, and to call me if anything came up or if he ever got to that point again that he was at the night I called him. 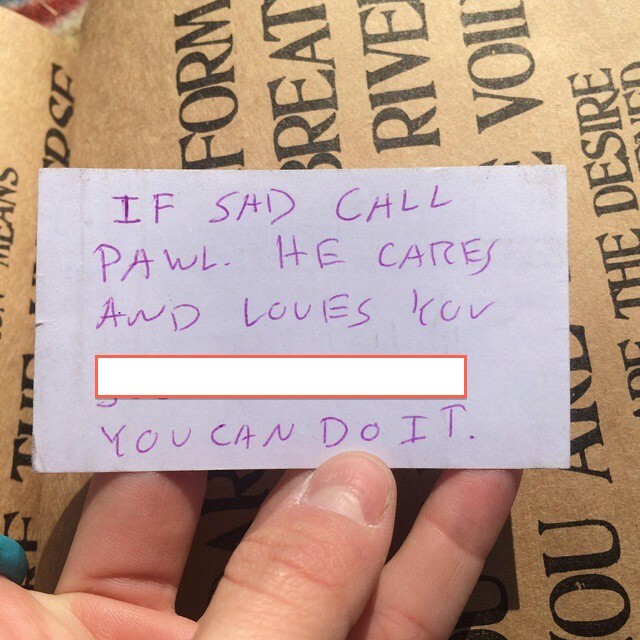 One of the last things I did was take out an old appointment reminder card from my wallet from my own therapist I had been seeing. Turning it over, I wrote on the back to call me if he was ever sad, and added my phone number so he would know if his phone was dead. I told him to put it in his wallet, gave him a hug, and went on my way. Fast forward about 6 months or so and I’m driving in the passenger seat of my friends car going to see a show in Boston. All of a sudden I get a phone call where the called ID reads “Idaho”, and feeling adventurous I answered the phone to see what free cruise I had won this time. But it was not a free cruise. Instead, it was a girl who enthusiastically asked “is this Paul?”. Confused I replied “yes” and we proceeded to talk as I put the pieces together. The card I had given my friend had left his hands when he was in Oregon, passing it along to a friend inside of a book. Then that book ended up in Idaho, where this girl had found it, and called me. The universe can perspectively be a small place from time to time. Crazy things can happen, and a human connection can be formed in places you never though possible, at the most unsuspecting times. As such is life. I’m glad to say that friend is doing much better now, as was the other who told me he wanted to die that night. Here’s a picture of that card I left with my friend, sent to me by the girl who called me from Idaho. You’re not alone and you are loved. This is such an amazing story. You set out that little card on a planned adventure, but it travelled and went down another path. How interesting! 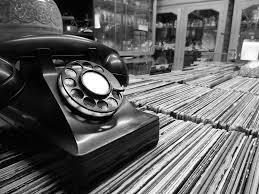 It sounds so old school – like sending messages in bottles and hoping one day someone would find them. I would love to write inspirational messages (minus my number haha) and leave them in books for people to find. I never meant for the card to be in anyone elses hand so it was really cool to see what happened. My friend is now doing better, thanks for asking =). Have you heard of operation beautiful? We just did a campaign at my school that involved writing positive messages and putting them on bathroom mirrors/around campus to brighten peoples days. You should check it out! You sound like me last night, I also just replied to your email. Hope sleep finds you soon. Ever try and use instrumental music to help? Paul, this is a powerful and wonderfully written blogpost. It made my day, thanks 🙂 Glad to read at the end that your friend is doing okay! I’m so glad to hear it made your day =). Thanks for commenting. Hope all is well friend! It was my pleasure indeed. I would love to contribute something, you are doing a wonderful job! If you ever come up with something you want to share email me at pfalcone12@gmail.com ! I missed this comment somehow but thank you so much for reading!